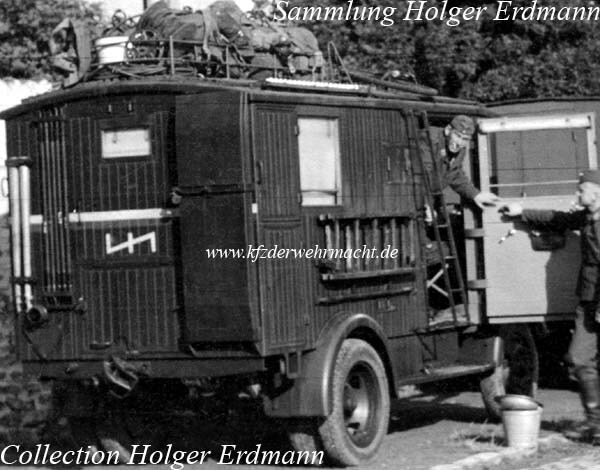 This trailer is a Fernschreib-Anschlussanhänger - teletype connection trailer - (2 achs.) (Ah. 469). In the interior, there were four seats for the crew. The trailer had a dead weight of 2,520 kg. It was forbidden to exceed a total weight of 3,350 kg. On the rearside of the Ah. 469, two Erdleitungsrohre - earth conductor tubes -, a Funkmastgestänge - radio mast rods - and two Auffahrbohlen - supporting planks - were mounted. A Klappleiter - folding ladder - and a Pfahleisen - stake-iron - were stored on the right side of the box body. An Abspannleiste mit 40 Isolierporzellanrollen - marshalling panel with 40 insulating porcelain coils - was fixed to the upper rear right edge of the superstructure. The left side of the Ah. 469. 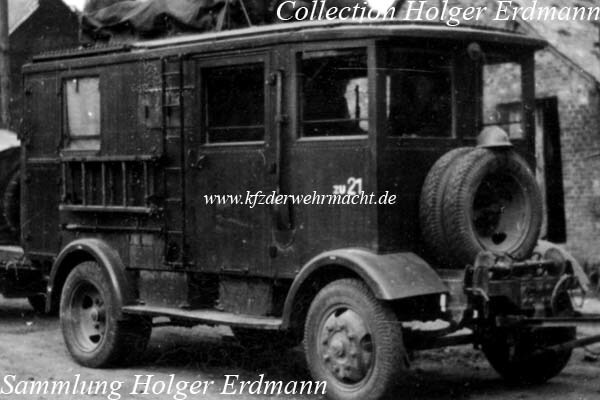 Two zweiteilige Drahtgabeln - two piece wire forcs - and 20 Stangenteile - rods - were stored in special mountings. Thre jerrycans were placed in the box behind the front axle. 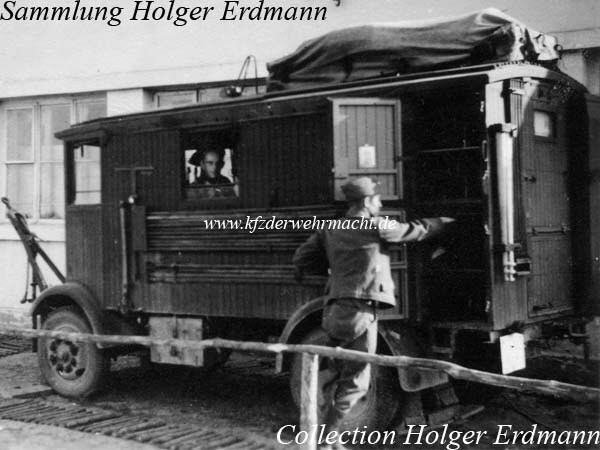 Besides otherss, cable reels with heavy field cable were carried in the opened side compartments.